When the Nerf Rival battle starts, the ultimate accuracy of the Nerf Rivals Apollo XV-700 Blaster will put you in charge! When you load up the easy-load magazine with the included 7 rounds, you’ll be armed for head-to-head competition, and you can pop out the magazine with the press of a button to reload. 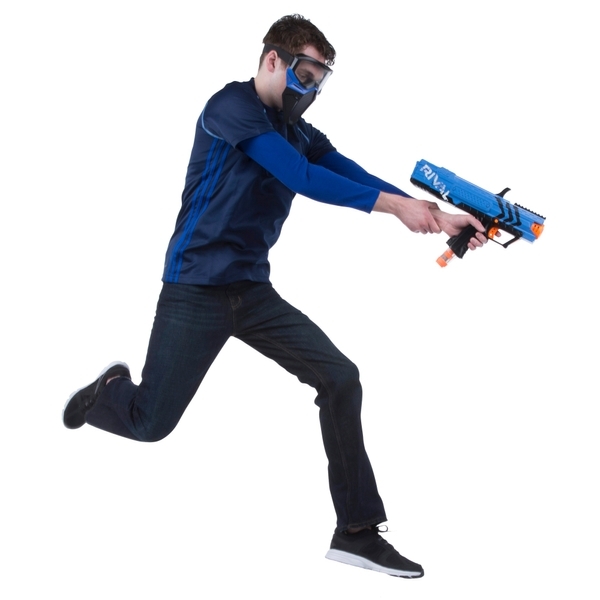 Your team will prevail when you’re armed with the power of the Nerf Rivals Apollo XV-700 blaster! Please note guard mask's pictured not included. EU Warning: Not suitable for children under the age of 3 years due to small parts which could cause a choking hazard. Do not aim at eyes or face.